This is the Baliwag Church how it looks today. This is where Friar Fausto Lopez conducted his duties as parish priest. There are many very rich persons who originated (and some still live there) from Baliwag, who, during Good Friday, try to outdo one other by putting up carriages with very elaborate and impressive depictions of the Passion of Christ. The number of carriages that have joined the procession have reached over 150. The cost of each carriage runs into millions of pesos. The owners and their staff walk behind proudly behind their carriages to show that they “have arrived”, and also in thanksgiving to the graces they have received during the year. This is the house of Jose, one of the children of Mariquita Gonzaelz. According to the Department of Tourism Plaque that is posted on the ground floor, it belonged to “the family of Dr. Joaquin Gonzalez”. When Dr. Joaquin left for Apalit, the other sisters had their own houses. Normally, in Asia, the one who inherits the ancestral home is the Son. So, by default, Jose Gonzalez, inherited this house. Ang makasaysayang gusaling ito, na dating tahanan ng pamilya ni Dr. Joaquin Gonzalez, ay unang ginamit bilang Bahay Pamahalaan o municipiong Bayang Baliwag noong unang dekadang pananakop ng mga Americano. Ito ay may sukat na 2,081 metro kwadrado. This historical building, that was the former house of the family of Dr. Joaquin Gonzalez, was first used as the Municipal Hall of the town of Baliwag during the first decade of the American Occupation (of the Philippines). The house measures 2,081 sq.m. Malipas ng mga sampung taon, noong Setiembre 15,1915, binili ng pamahalaang local ang gusali kasama ang lote. Nagsilbing municipio ang lumang bahay na ito sa loob ng mahigit na animnapu at limang (65) taon. Hanggang 1971, kung kalian pinasinayaan ang bagong municipio sa ilalim ng pangasiwaan ng noo’y Alkalde Florentino Vergel de Dios. Sa pakiusap ng Baliwag Historical Society sa pangunguna ni G. Rolando E. Villacorta, ang lumang bahay ay ay inukol bilang aklatan o museo. This old house served as the Municipal Building of Baliwag for a period of 65 years. 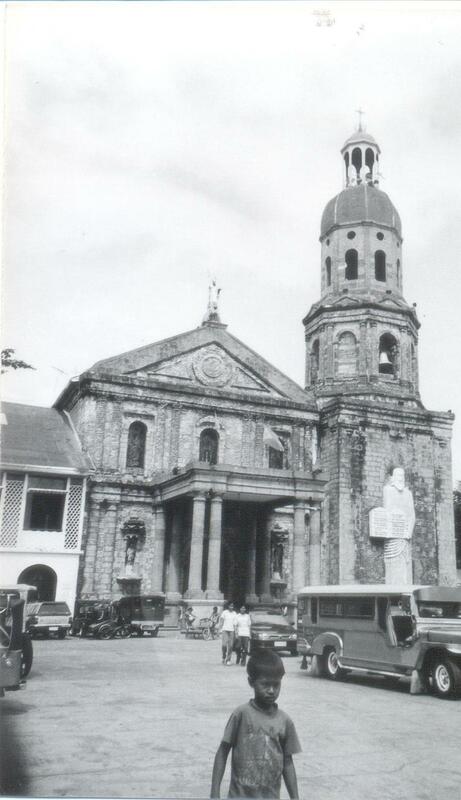 In 1971, a new Municipal Building was constructed under Mayor Florentino Vergel de Dios. 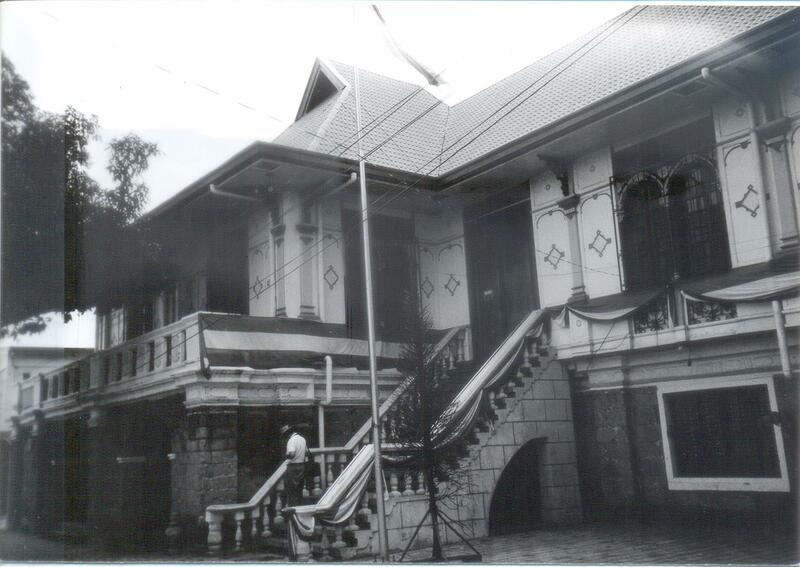 The Baliwag Historical Society, headed by Mr. Rolando E. Villacorta, proposed to the authoritities that the Gonzalez house be converted into a Library or Museum. Noong 1993, ipinaayos at ipininanatili ang dating anyo ng gusaling ito sa pagsisikap ng dating Alkalde Carling Trinidad at sa malaking ambagna ginampanan ni Kinatawan Pedro Pancho. Ang pagpapaayos ay isinagawa sa malaking tulong ng Dating Kalihim Mina T. Gabor ng Kagawaran ng Turismo at ang Philippine Tourism Authority. In 1993, this Building was renovated under the efforts of Mayor Carling Trinidad and funded with a generous contribution from Congressman Pedro Pancho The renovation was done under the auspices of Tourism Secretary Mina T. Gabor and the Philippine Tourism Authority. Pagkatapos, tinanggap ito muli ng Pamahalaang Bayan ng Baliwag, sa pamumuno ni Alkalde Rolando Salvador, sa isang pormal na seremonya na ginanap noong Agosto 9, 1998. The Building was received again by the Government of Baliwag headed by Mayor Roldando Salvador, in a formal ceremony that took place in August 9, 1998. Ang seremony pinangasiwaan ng Baliwag Tourism Council ay tinampukan ni Gng. Gemma Cruz-Araneta, Kalihim ng Kagawaran ng Turismo at Governador Josefina M. dela Cruz ng lalawagin ng Bulacan. The ceremony, undertaken by the Baliwag Tourism Council, was graced by Mrs. Gemma Cruz-Araneta, Secretary of Tourism, and the Bulacan Governor Josefina M. dela Cruz. Eva Iral, the representative of the Baliwag Gonzalezes still living in Baliwag, Bulacan, disputes that the statement of the DOT that the house (above) used by the Americans during the American Occupation, was the ancestral house of Mariquita Gonzalez. She says that this was really the house of Jose, the youngest of Mariquita’s children. Eva even goes further to state that the house of Mariquita was positioned right across the Church. This made it possible for an underground tunnel to connect the Church and the house, to provide a better access for the forbidden relationship of Mariquita and Friar Fausto, to flourish. Eva Iral died in 2010, which makes us unable to confirm her statement.